Join our webinar for details about best practices and industry updates for Work Campers. 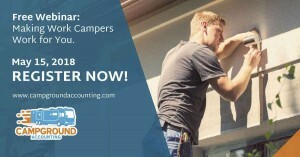 Campground Accounting is hosting a free webinar, entitled “Making Work Campers Work for You,” for Campground and RV park Owners to discuss the risks and benefits associated with employing work campers at your campground. The webinar will be on May 15, 2018, at 1:30 pm EST (10:30 am PST). The course will be similar to the one offered at the Tennessee Association of RV Park and Campground Owners in April, but with a little more depth than was allowable during the scheduled time. The moderators will be Donna Bordeaux, CPA and Chad Bordeaux, CPA, OHM. Among the topics discussed will be independent contractor vs. employee issues, workers’ compensation insurance issues, issues related to excluding the value of the employee’s campsite from earnings, and issues related to the Department of Labor’s On Duty Employment rules. 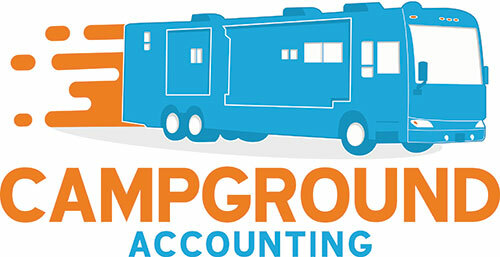 Campground Accounting is a division of the CPA firm, Bordeaux & Bordeaux, CPAs, that specializes in working with Campground and RV Park owners throughout the USA. 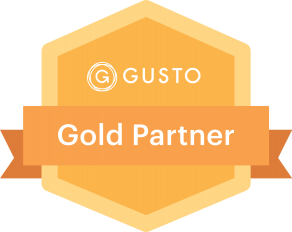 Their industry knowledge is focused on taking the headaches out of bookkeeping and accounting and helping campground owners grow the value of their park.